Before his death in October 2015, Mr. Summerlin gave sworn, videotaped testimony in the case, which was presented to the jury during trial. Mrs. Summerlin continued the action on behalf of herself and the Estate of Mr. Summerlin. Prior to trial, four companies against whom asbestos-related claims were brought settled the claims against them. The case proceeded to trial beginning on September 7, 2018 against Reynolds and Phillip Morris (the companies who manufactured and sold the cigarettes Mr. Summerlin smoked) as well as Hampden Automotive Sales Corporation (“Hampden”), a manufacturer of asbestos-containing brakes that Mr. Summerlin used in the late 1950s through early 1960s. The jury heard evidence that Mr. Summerlin began smoking as a teenager in the late 1950s, before warnings were put on cigarette packs. When Mr. Summerlin first tried smoking he coughed and gagged on the smoke. But he then tried a menthol cigarette which -- due to the anesthetic properties of menthol – was easy for Mr. Summerlin to inhale which led to Mr. Summerlin becoming a daily cigarette smoker. The jury heard testimony from multiple expert witnesses regarding Mr. Summerlin’s 50-plus year addiction to menthol cigarettes (including Kool, Salem and Marlboro Menthol), as well as his unsuccessful attempts to quit using smoking cessation aids such as nicotine gum, the nicotine patch and a prescription drug (Chantix). At trial the Plaintiff called experts in a variety of specialties including: nicotine addiction, health behavior, tobacco industry conduct, history, industrial hygiene, and occupational and environmental medicine. After a 5 week trial, the jury deliberated for over 23 hours during the course of 4 days, before rendering a verdict against Reynolds, the maker of the menthol cigarettes (Kool and Salem) that Mr. Summerlin smoked from the late 1950s through the mid-1980s. The jury found Reynolds liable on all 5 counts: breach of implied warranty of merchantability (defective design and inadequate warning); negligence (negligent design and failure to adequately warn) and fraud. The jury awarded $5.3 million for Mr. Summerlin’s pain and suffering, $3.5 million for Mrs. Summerlin’s “loss of consortium”, $4.3 in wrongful death damages, for a total of $13.1 million in compensatory damages. The jury also found that Reynolds was “grossly negligent” and acted “maliciously, willfully, wantonly or recklessly” in causing Mr. Summerlin’s lung cancer, and awarded $30 million in punitive damages. Although the jury found that Philip Morris and Hampden breached the implied warranty of merchantability in selling “defective” products, the jury determined that these breaches were not a “substantial contributing factor” in causing Mr. Summerlin’s lung cancer, resulting in a defense verdict in favor of these two companies. 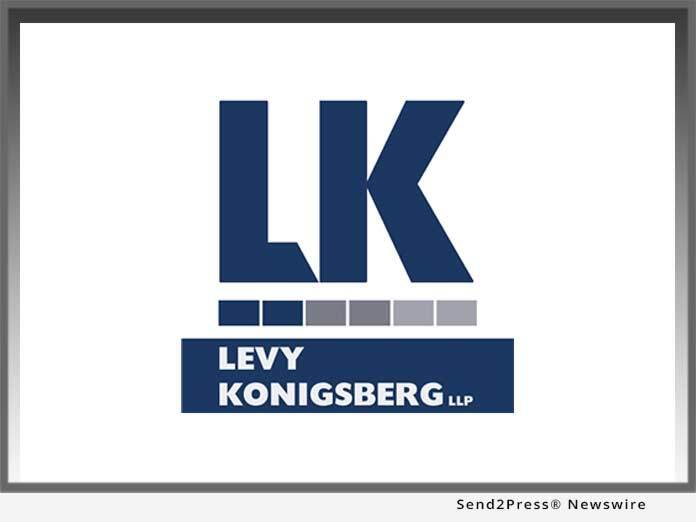 Levy Konigsberg LLP is a national trial law firm based in New York City that has won numerous ground-breaking verdicts and settlements over the last four decades. Partner Jerome “Jerry” Block has won numerous verdicts in both tobacco and asbestos litigation. This is Mr. Block’s third consecutive multi-million dollar verdict against a tobacco company on behalf of a plaintiff who developed lung cancer after beginning smoking as a teenager in the 1950s or 1960s. For more information, please visit https://www.levylaw.com/. (*Note 1) Joanna M. Summerlin, Individually and as Executor of the Estate of Louis E. Summerlin, Docket No. 15-5255 (Commonwealth of Massachusetts, Superior Court).